Loss of oil pressure due to worn components in critical oil circuits. Zip Kit seals critical pressure losses. 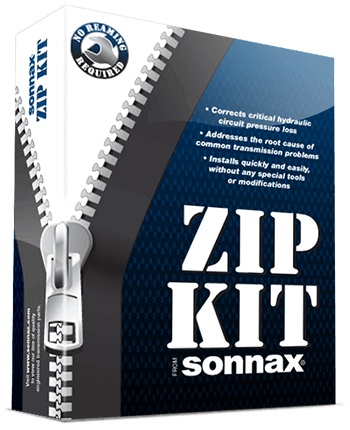 It's easy to restore and extend vehicle shift quality with Zip Kits. Uniquely designed Sonnax parts target the root cause of valve body complaints and stop critical circuit pressure losses in the most common problem areas of the transmission.